Who are the artists among us? - Soviet-Empire.com U.S.S.R.
Who are the artists among us? I am unsure where to post this because I'm not solely referring to political and/or propaganda-type art. I've seen that many of us/you are talented writers but I was wondering if anyone would be interested in showing some of their personal creations. You all seem so creative and passionate regarding the things you believe in and the way you speak, I assume that most of you have some sort of artsy talent. I myself am an artist & the content of my art is going through a bit of a metamorphosis lately and I would like to find new sourcces of inspiration, maybe some even coming from this site. Again, I'm sorry if this is misplaced or a duplicate topic. I'm still new here and getting the hang of things. What exactly do you do? I mean, do you draw, write, make music? I can't say I'm the most creative, and basically I just write a lot, and can be pretty direct in how I write usually, so I don't think I can help... I've tried to write stories and poems in the past but usually abandon or forget about them, and I have no idea what happened to some of the stuff that I've put down in notebooks or on computer. What exactly do you do? I mean, do you draw, write, make music? Sorry, I was working on my last post and the images weren't posting directly on my response so I didn't see that you had replied. I mostly draw and paint but I also rap and can play two instruments. I generally am quite well-rounded when it comes to art. I can't sing to save my life though. I sell my art and do a lot of portraits and tattoo designs. I love drawing people. Art is my life for sure. Thanks, Loz! 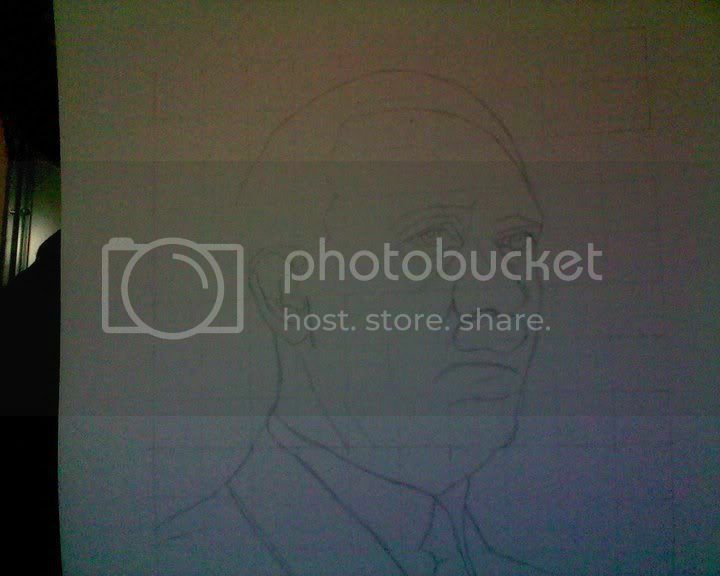 I'd post the other most recent drawing I did (by request) but I'm pretty sure no one here is a fan of ol' Adolf. Still a decent piece though. I'm trying to figure out who to draw next. Anyone have any ideas or requests? That is what I was assuming would be said, haha. I'm trying to get about 5-10 ideas. Some days I feel like drawing certain people but not others so I like the variety. If anyone can think of some neat ones then please let me know. Even if they're off the wall or unrelated to Communism. Are you an artist, Loz? 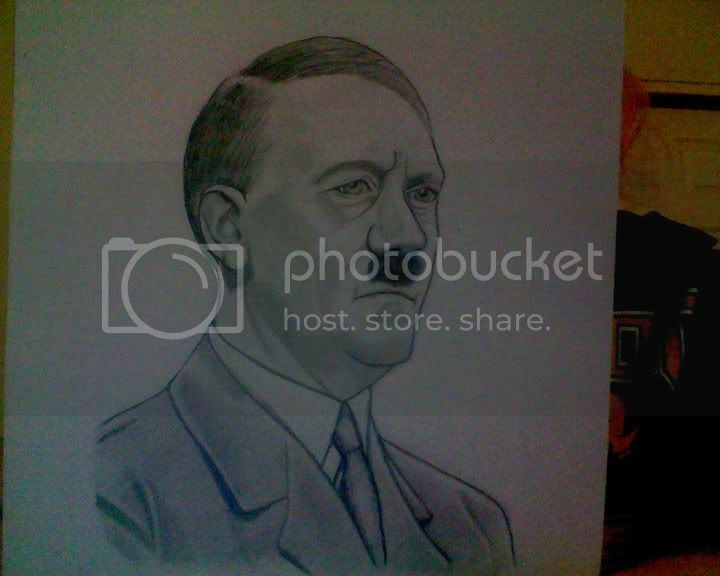 Actually, I apologize if it offends anyone or breaks the rules but I'd like to post Hitler anyway. 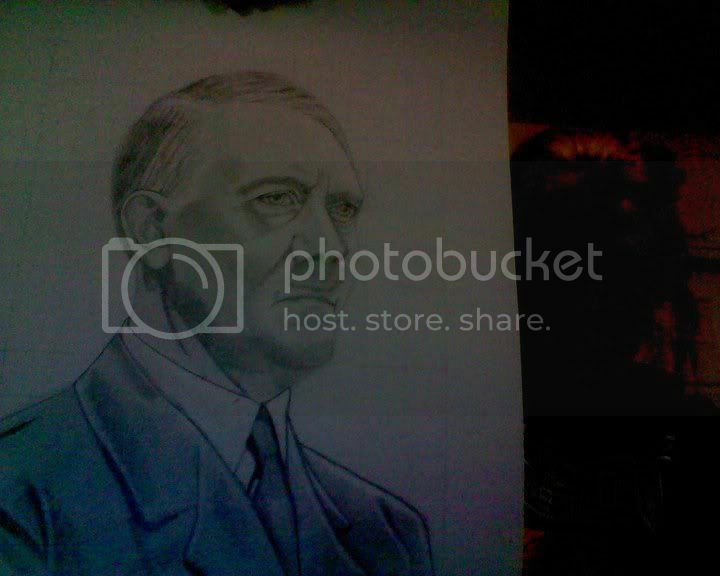 I'm not glorifying him or anything, I'm just on a political kick where I'm drawing key figures of the 20th century and/or ww2. It's just a drawing. 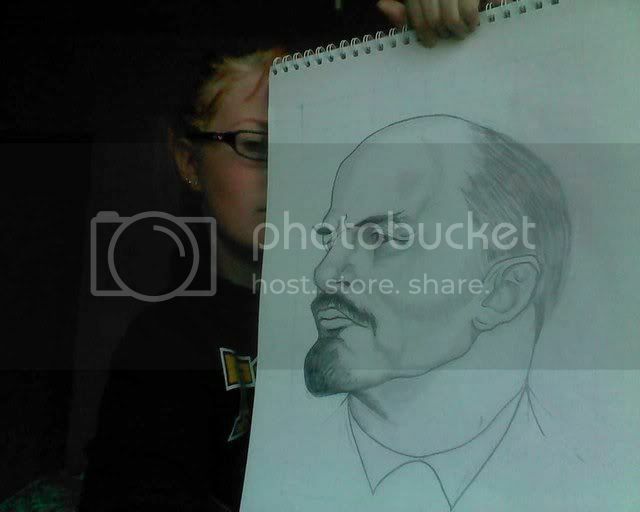 He took a bit longer than Lenin. I am glad I got this drawing out of my house. 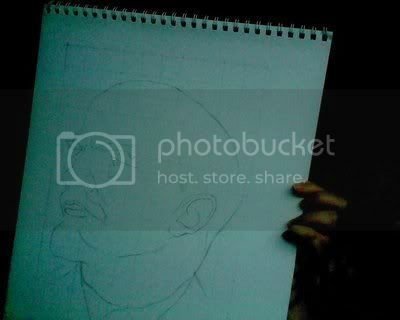 Are you an artist, Loz? But is it you on this picture? Hahah i was like, huh? I'll probably be taking that down soon since it's off topic and there's a thread for photos of members. Edit: sorry, i really don't want my picture on here anymore. 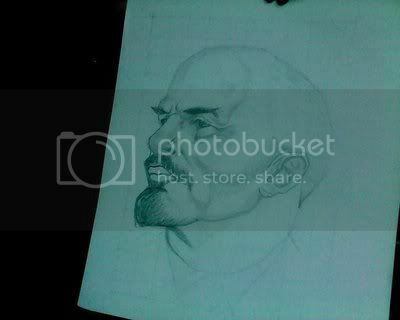 Last edited by Chthonic_Comrade on 22 Jul 2011, 12:19, edited 1 time in total. I made a painting of Tom Dong's last stand. I want to write a symphony or two, though I wouldn't know where to start just yet - there's a danger I might just end up sounding like Ernst Toch, Robert Simpson or someone else (though writing like Simpson would be superb). I definitely don't see parroting a few communist songs in a piece as being "socialist realist" like in Ottmar Gerster's Festival Overture which sucked balls, Mahler's much closer to socialist realism in execution and what is actually being conveyed. You can be the next Rebecca Black, DSCHBACH. That's definitely not neither a "blah" picture nor blah.jpg. Nice drawings. I'd say you should do Mao or Zhou Enlai. Doing European stuff all the time gets old. That's why I took literally 0 classes about European history my last year in university, though the Soviet Union still showed up.